A reportage about the making of The Sound We See, a Rotterdam City Symphony. A project tutored by Paolo Davonzo and Lisa Marr from Echo Park Film Center in Los Angeles that uses analog filmmaking techniques and the “City Symphony” genre practiced in the 1920s by Walter Ruttmann and Dziga Vertov as starting points to explore communal creative process and contemporary environments. 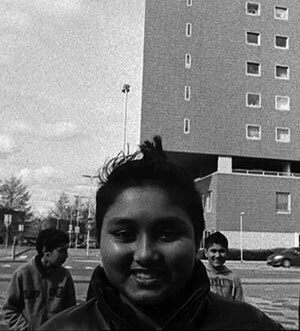 Participants from the neighbourhoods Cool, West and Stadsdriehoek collaborated on a film representing their own view of the city. They shot on Bolex 16 mm cameras and black&white film. The final result is 24 minutes long, 1 minute for every hour of the day. The Sound We See: A Rotterdam City Symphony premiered with a bespoke live score performed by a talented ensemble of local musicians. I followed the whole process and conducted interviews with the tutors, participants and organisers. Additionally, an interview with an academic (Floris Paalman) specialised in the "City Symphony" genre is included.